What substances are youth using most often in Ontario? Drinking or using cannabis while driving is still an issue. Being a passenger with a driver that has drank or used drugs is also a concern. Perception of availability of alcohol/drugs is high. 15% of students report being offered, sold, or given drugs at school in the past year. One in ten report being drunk or high at school. Kids who learn about alcohol and other drugs at home are up to 50% less likely to use, than kids who don't. Peer pressure - Young people may give in to pressures from other kids (friends, boyfriends, girlfriends, etc.) to try drugs. They may use a drug to feel like part of the crowd, or to act grown-up. Pleasure - Some teenagers say they take drugs to feel good. Curiosity or Experimentation - At first, teenagers may be tempted to try a drug to find out for themselves what it is like. Usually people who use a drug for this reason do not continue use for long periods of time. Boredom - If they lack outside activities and interests after school, young people may want to try something new and exciting. The 9:00 to 3:30 routine may be as boring to children as the 9:00 to 5:00 routine is for many adults. Self-esteem - Young people, as well as adults, often use drugs to try to feel more confident about themselves. Drugs seem to make them feel more important and powerful. Parent Modeling -seeing a parent use alcohol or other drugs. You're always a role model. Sexual Identity - Facing isolation, alienation and discrimination from a homophobic society is stressful; escaping from this is one of the main reasons why people in our communities use alcohol or other drugs. Coping with stress - Many young people have not fully developed their problem-solving skills. Some of them use drugs to help cope with problems at school, in the family, and with social relationships. Escapism - Drugs appear to make things better than they really are. Problems don't seem as real or important. Rebellion - Since most adults do not approve of drug use among children, young people may use drugs to rebel against parents or teachers. Talking with your teen about cannabis doesn’t have to be awkward. Watch the first video in Partnership For Drug-Free Kids' special series for parents that will help you set the stage for an easier conversation with your teen about pot or any other negative influence. Cannabis- How to Answer: "Would you rather I drink alcohol? Weed is so much safer." Medications include prescription, over-the-counter, vitamin and herbal preparations. Medication is hazardous waste and must not be thrown out in the garbage or flushed down the toilet. Why is it Important to Regularly Clean out Your Medicine Cabinets? Using expired medication can decrease the effectiveness of the medication, cause dangerous side effects, or cause potential negative interactions with other medications you are currently taking. Prescription drugs can be stolen and sold – the youth population is an especially high-risk group who can obtain medications for recreational use from your medicine cabinet. The 2015 Ontario Student Drug Use and Health Survey reported 10% of grade 7-12 students used prescription drugs for non-medical reasons. The #1 place they reported getting these prescription drugs was from the home. What can you do to Reduce your Risks? Do not share medications with others or use someone else’s medicine. Keep medication in a safe and secure location. Keep track of the quantity of medication in your home. Dispose of expired or unfinished prescriptions at your local pharmacy. Youth are a particularly vulnerable population for prescription abuse and the #1 place they get these drugs is from a family member’s or friend’s medicine cabinet. Make sure you dispose of unused or expired medications at your local pharmacy and lock up any medications that are in your home. Check out the public awareness campaign from Drug Free Kids Canada about prescription drug misuse by kids. Your child already has so much from you, don't let them have your prescription drugs as well. Secure your meds today. In general the PIER Project results corresponded with what is currently in the literature around youth drug use and youth/adult communication about drugs. The PIER Project asked survey respondents how often they ate together as a family because there are indications in the literature that family mealtime is potentially a protective factor in the lives of adolescents. Eisenberg, et al. (2004) suggest that eating meals as a family has benefits for young people above and beyond their general sense of connection to family members and that these benefits may apply to a broad range of health domains. In their research they found that benefits applied to such specific behaviors as cigarette smoking and alcohol consumption, where family meals correlated negatively with use of these substances. The local survey found that about 60% of our respondents report eating together as a family at least four times a week. that demonstrate youth from families with frequent, open (bidirectional) and positive communication are less likely to become involved in drugs. Highet (2005), in his study of how parents respond to young people talking about alcohol and cannabis, found communicating and negotiating openly seemed to be effective in helping young people to develop and sustain a sensible relationship with alcohol. In the PIER survey, both youth and adults agree that youth mainly talk with their friends about drug use. However, adults claim to be much more comfortable talking with youth about drugs compared to how youth feel talking with adults. Highet (2005) argues that ways of supporting parents so that they feel able to discuss their children’s actual or potential drug use openly should be found. ‘normalization’ which envisages recreational drug use as one expression of consumer-based youth cultural lifestyles. In a large study of American youth, Terry-McElrath et al. (2009) found that the top four reasons youth gave for using drugs were social/recreational including ‘to get high’ and ‘to have a good time with friends; coping with negative affect including ‘to relax’ and ‘to get away from problems’; compulsive use including ‘because I’m hooked’; and drug effect which included ‘to decrease’ or ‘to increase the effect of some other drug(s)’. Finally, Allen et al. (2003), in their meta-analysis of studies on the influence of parents and peers in the choice to use drugs, found that peers, siblings and friends are greater source of influence than parents on substance use. However, parents do exhibit an influence in the reduction of substance use. In the PIER survey they found that youth report feeling less pressured to use than adults think they do. Both youth and adults agree that if pressured, it is friends who are doing the pressuring. Youth see stress as more of a reason to use than do adults. 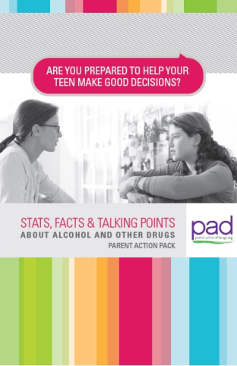 Read and Print the Parent Action on Drugs (PAD) Parent Action Pack Resource "Are You Prepared to Help Your Teen Make Good Decisions? Stats, Facts and Talking Points About Alcohol and Other Drugs"
Watch the "Talking to your Teens about Alcohol and Other Drugs" 6-part video series. Talking to your teen about alcohol and other drugs. 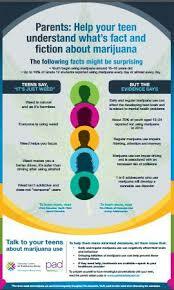 Factors that put your teen at risk for alcohol and other drug use. Signs of alcohol and other drug use in teens. Risks for teens of using alcohol and other drugs. What to do if you suspect your teen is using alcohol or other drugs. 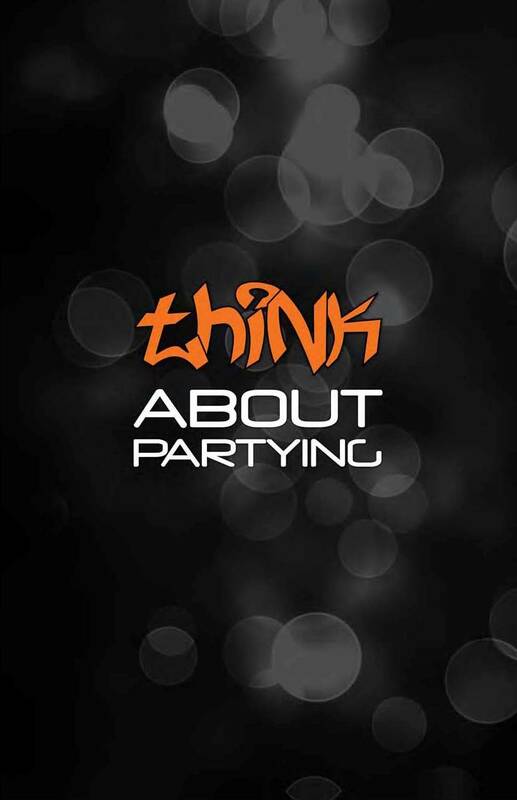 Setting boundaries and consequences for your teens regarding alcohol and other drugs. For more info on protecting your youth from alcohol and other drugs, subscribe to a parent’s newsletter see canadadrugfree.org/newsletter and/or drugfree.org.